future I will link to original post also. 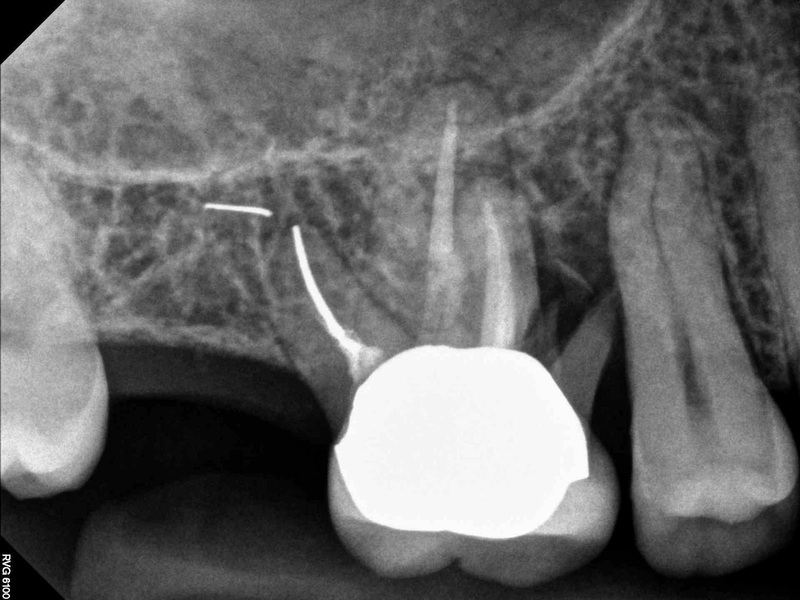 RCT appears unsuccessful and obviously the tooth is not. The MB2 was missed in original treatment, even though it was quite large and easy to locate. I do not believe I had a piezo at time had to remove these silver points which resulted in more tooth structure removed than would today.